Do you have a life purpose? 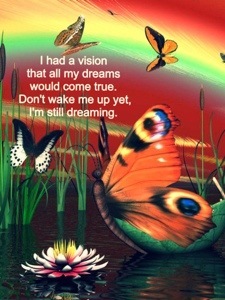 What are your dreams and visions for the future? I’m working on my latest book and I can’t wait to share it with all of my readers. In the coming days, I will post clips of my book here like a tasting. A snippet here, a post there so you can get the flavor of the book. What about you? What are your hopes and dreams? My dreams is to free all of humanity and fight the forces of evil by giving them information, training and mindset to overcome all obstacles. And with some encouragement they can grow in wisdom and strength to carry them through the trials of this life. Mentoring is very important. Thanks for sharing your dreams.